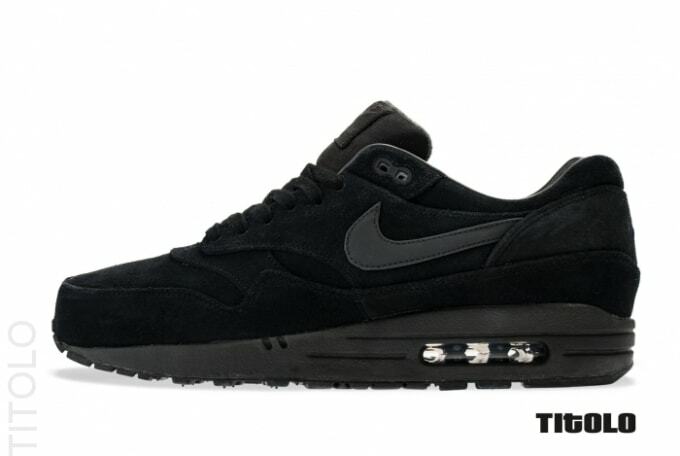 Before the January 2013 delivery, today we get a closer look at the upcoming black and Anthracite colorway of Nike&apos;s Air Max 1. The premium pair features suede and mesh on the upper, as Anthracite-colored branding offsets the black backdrop accordingly. If you&apos;re already certain that these are a must for you, you can pre-order them now by hitting up Titolo.